SASKATOON - Mark Matthews had two goals and five assists to lead the Saskatchewan Rush over the Calgary Roughnecks 13-10 on Friday night in National Lacrosse League action. Dan Taylor, Robert Church and Chris Corbeil also struck twice for the Rush (8-3). Mike Messenger, Curtis Knight, Jeff Cornwall, Matthew Dinsdale and Jeremy Thompson rounded out the attack. Dane Dobbie scored four goals for Calgary (4-9), which got two goals apiece from Riley Loewen, Tyler Digby and Wesley Berg. Aaron Bold made 43 saves for the win in net. Christian Del Bianco took the loss by kicking out 24-of-30 shots in 38:48. Frank Scigliano started but was lifted after allowing seven goals on 28 shots. Saskatchewan was 3 for 6 on the power play while the Roughnecks converted six times on nine attempts. Another Sparse crowd of 15,039 last night in Toon Town to watch the Rush win yet another one. Good luck to Brandon and Moose Jaw in the WHL playoffs . I presume one of these teams will end up knocking out the so called favorite Patsies . Go Rush, Go Brandon, Go Moose Jaw. Saskatoon may not be a WHL city but it's definitely one fine lacrosse city that's for sure! 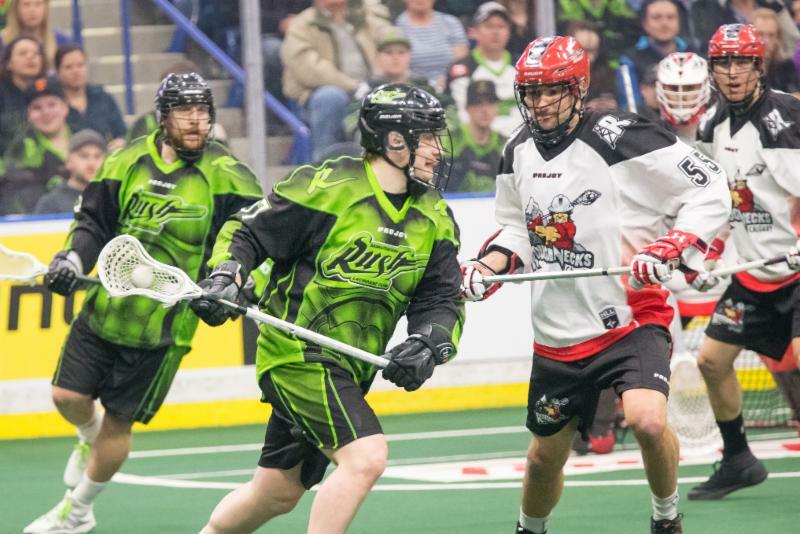 the quicker Saskatoon dumps it's hockey teams, and embraces itself as a lacrosse town, the better. Congrats.